Tucked into the Cotswold landscape in the conservation village of Shipton under Wychwood, in rural Oxfordshire, is a family-owned, thriving flour mill. FWP Matthews history and heritage goes back to the late 1800s when enterprising Marmaduke Matthews sold grain from a barn nearby. The seeds of business were sown and the red brick mill that is seen today was built in 1912. With the combination of horse power, electricity and steam and with a railway track running alongside the mill meant it was well placed to get its grain and flour out across the area and further afield. Nowadays, with a company that spans six generations of the family, Paul and Stephen Matthews continue to develop and steer the business to produce and offer an amazing range of high quality organic and non-organic bread and speciality flours from wheat grown in the Cotswolds and the UK, and blended with wheat sourced from around the world. Gluten free and continental flours are also included – especially good for making authentic French breads, pasta and pizza. 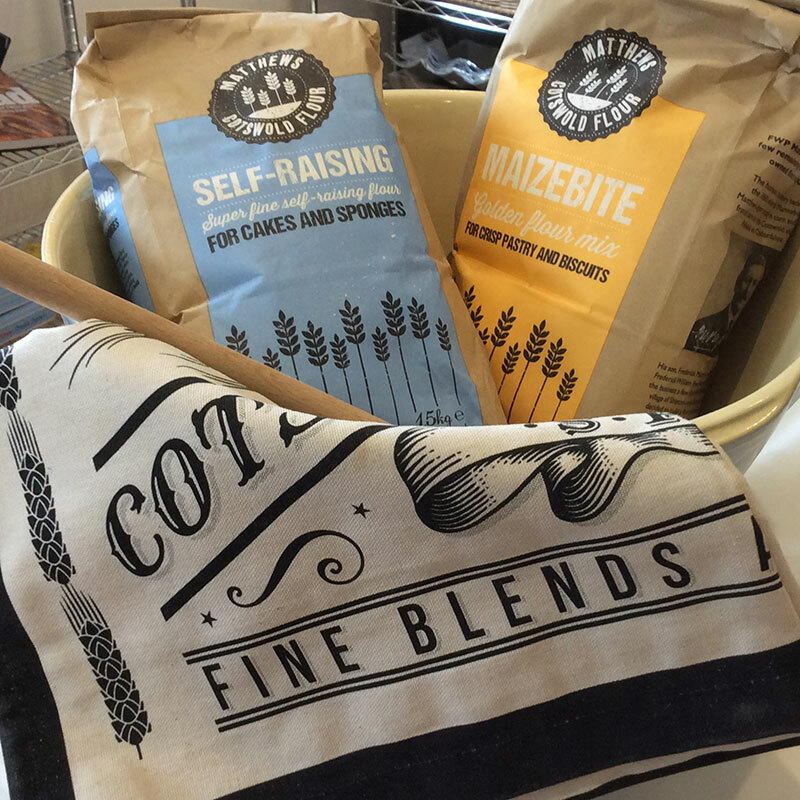 The unique brand of Cotswold Crunch and Eight Grain flours are hugely popular. So much is still carried out traditionally with the millers using their experienced eye and touch to make sure the wheat and various grains and seeds will meet the grade and high standards set. There’s really nothing quite like the warm, straight out of the oven, delicious smell of home-made baking. 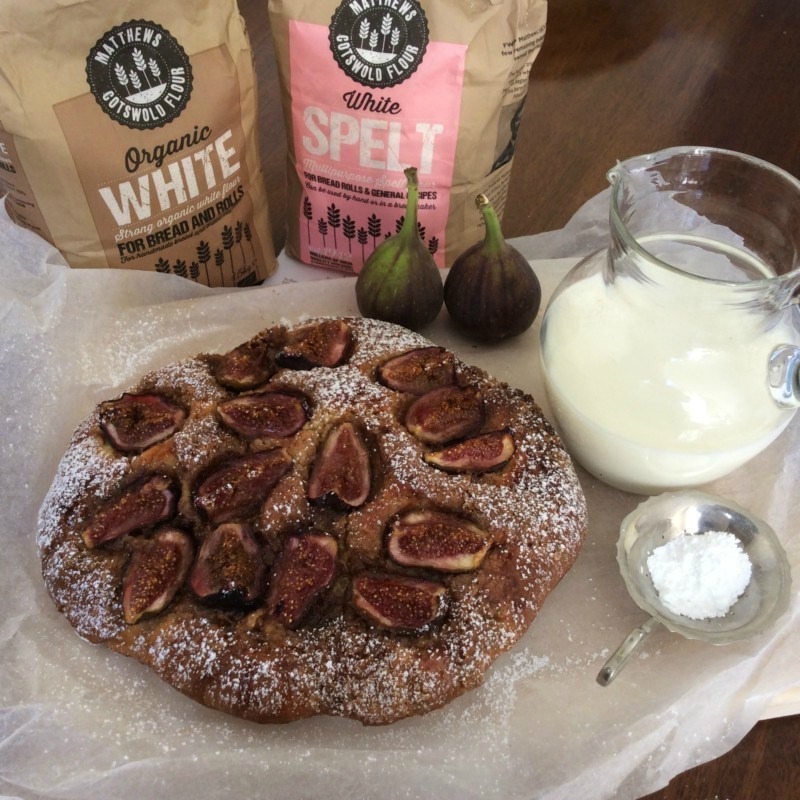 For anyone who has sifted, whisked, kneaded, baked, and tasted the end result using FWP Matthews range of flours will know it’s the time, energy and passion from all involved at the mill and the exceptional quality and process which makes this flour stand out. Loved by professional bakers, top-class restaurants, delicatessens, umpteen well-known and high-profile customers up and down the length and breadth of the country – and of course, by many hosts at Cotswold Village Rooms. FWP Matthews packs of 1.5kg flour can be ordered online through Amazon. The distinctive packaging can also be found in a number of supermarkets and other retail outlets – take a look on the website for details for stockists. Heat the milk until hand hot. Put yeast in a bowl with 1 teaspoon caster sugar. Blend in the milk and leave for 10-20 minutes until frothy. Turn out onto a floured worktop and knead the dough for 10 minutes. Put into a lightly oiled bowl, cover and leave to rise for 1- 1 ½ hours until doubled in size. Heat the oven to 200c (180c for fan oven. Gas mark 6). Knock back the dough and gently roll out on a lightly floured worktop into a circle about 35cm diameter. Transfer to a greased baking sheet or tray. For the topping, mix together the sugar, butter and spice and spread on the dough, leaving a 2cm border. Cover the butter mix with figs, pressing them into the dough lightly. Cover and prove for 10-15 minutes somewhere warm. Put bread in oven and bake for 10 minutes, then reduce the temperature to 180c (160c fan oven or gas mark 4 and bake for a further 30-35 minutes until golden and the base sounds hollow when tapped. Take out of oven and dust with icing sugar and serve warm on a wooden board at the table. Recipe adapted from Country Living Magazine and one of Jenny’s breakfast favourites at Sunnyside Cottage in the hamlet of Broughton Poggs, near the village of Filkins.